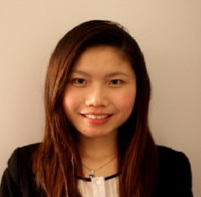 Amy Peng is an Accredited Practising Dietitian and Nutritionist. She is a professional member with the Dietitians Association of Australia, Diabetes Australia and Parkinson’s Victoria. Following her completion of the Bachelor of Nutrition and Dietetics at Monash University, She held a position at Colac Area Health where she provided dietetics services to a range of patients in a clinical setting. She had also been a community dietitian with MonashLink community health centre where she conducted health checks and provided dietary counselling to people with chronic diseases. She is currently working as a private practice dietitian providing nutrition services to private patients, Medicare, Department of Veterans Affairs including home visits. Amy always has a strong passion for food and enjoys helping people lead healthier lifestyles through nutrition education. She believes in an evidence-based, non-dieting and mindful approach. She also mentors new graduate dietitians who are new to the private practice setting.